The digital edition has been painstakingly re-formatted and extended specifically for viewing full screen on tablets. 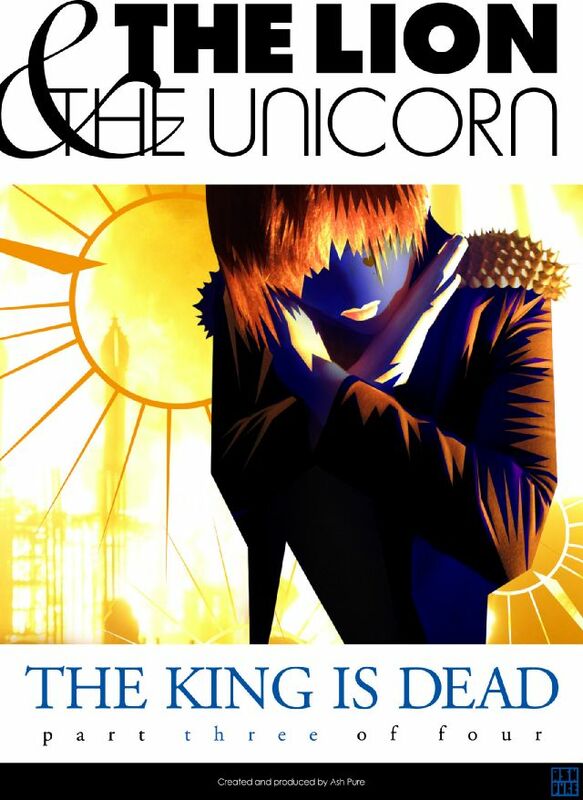 45 pages of high definition digital art, with a story that sees The Lion and The unicorn of the title take a step closer to their final show down in the city of Thamesis Where the King’s funeral is held and a young, would be freedom fighter is lead down a dark path with the promise of revolution. In this issue we get a good look at the forces laid out against the King – and their reasoning behind them. We get the old king’s funeral and an especially touching moment with his son and his thoughts on the death of the King – and his relationship with him. Meanwhile the new King has made plans to get some forces on his side – one from his past and one from his fathers, as we come to the end of the first chapter here I am waiting for more in this excellent piece of sequential art and storytelling.